Bodybuilders and exercise physiologists talk about three different kinds of muscular contractions: isometric, concentric, and eccentric. In the isometric contraction, the muscle neither shortens nor lengthens; it is static. In the concentric contraction, the working muscle shortens. 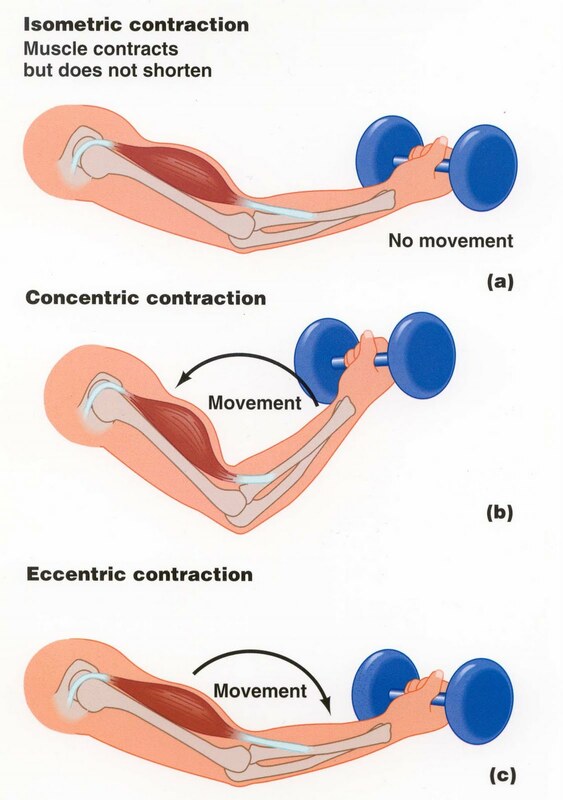 In the eccentric contraction, the working muscle lengthens during the exercise. Novice trainers often focus exclusively on the concentric phase of an exercise, to the virtual exclusion of the eccentric. For example, in the barbell bench press, the point becomes to get the weight up to the top of the range of motion at all cost - which is the concentric phase of the exercise. The pectoral muscles, anterior deltoids, and triceps brachii are all shortening during this phase. These novice lifters sometimes almost let the barbell free fall back to the starting position, giving very little resistance to its downward motion. 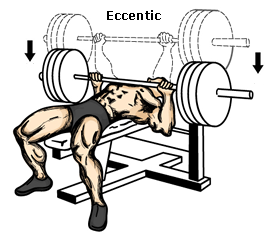 But studies have indicated that the eccentric portion of an exercise is more important for hypertrophy (muscular growth) than the concentric phase. During the bench press, then, this indicates that the lifter should pay special attention to resisting the barbell's downward motion, if growth is the goal. I imagine that it is really the same in the spiritual realm. I believe that often the greatest spiritual growth is achieved not when we are victoriously and concentrically overcoming a spiritual burden, but during those times when the weight seems to be advancing downward against us and, though we resist it with all our might, seems about to crush us.